Why should Santa get all the goodies? This year, place a few bags of Reindeer Feed next to the cookies and milk. Blitzen and crew will thank you. So will the kiddos when you get them in the kitchen to help make this simple snack mix recipe. How do you make Reindeer Feed? Couldn’t be easier. 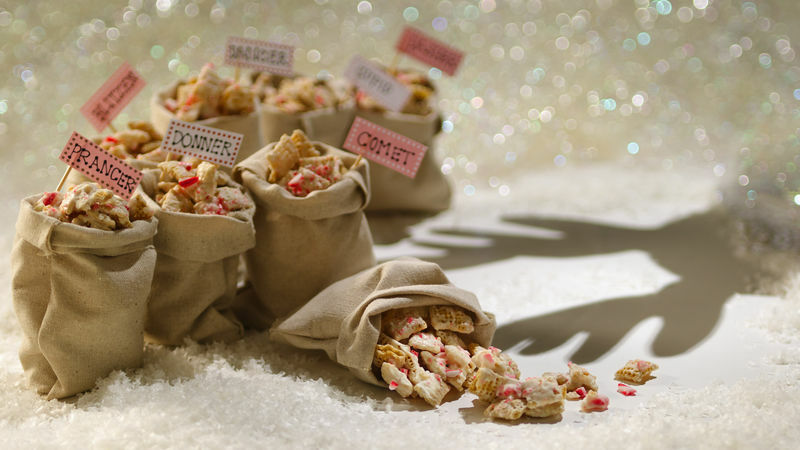 Simply coat Chex cereal with melted vanilla chips, sprinkle with crushed candy canes and let cool. That’s it. Really! When we created this recipe for the Betty 10 holiday trends, we wanted it to be quick and easy since young cooks can have a short attention span. Afterall, the trend of Kids in the Kitchen is about families connecting while they cook, not mom or dad finishing the recipe once all the “helpers” disappear.